Auto Fit Marrickville is your No1 choice for a car mechanic in Marrickville area, located across the road from Marrickville Bowling Club have lunch whilst we service your car we have been established since 1987 operating from the same workshop with the same owner. Specialising in fleet vehicle servicing for over 27 years we have kept local business motoring with regular car service maintenance including vans & light commercial trucks. 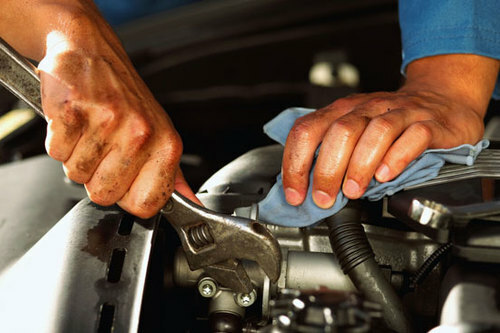 It's our goal at Auto Fit to always provide great service and high-quality workmanship at a fair price. Please browse around our website to learn more about us and our commitment to provide you with the best service possible. If you have any questions, please give us a call on: (02) 9516 1044 Auto Fit Marrickville, Count on us for fair, friendly service! Standard replacement of exhaust and exhaust fittings (Rubber Mounts, Gaskets etc.. Car Service CouponSave Our Business Card In Your Mobile Ph Contacts List Along With Our Number The Card Acts As A Coupon When Displayed At Workshop On Mobile Have a Question Send A Message to My Mobile Free Alternatively Call Direct Or Email.